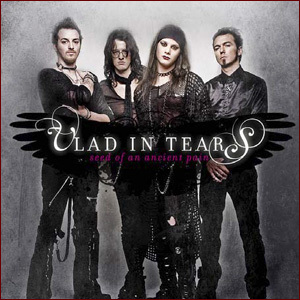 Vlad in Tears born from a dream, in 2004. Kris (vocals and piano), Lex (guitar), and Dario (bass) are brothers, and Xander (drums) is their best friend ever. The aim was to create a melting-pot of classical music, metal, and gothic atmospheres…After a demo called “After the End”, the VIT produced and recorded the first full-length album, called “Seed of Ancient Pain”, and finally signed their first worldwide recording contract with Dreamcell11 (a sublabel of Aural Music group).Their Myspace page got more than 50.000 hits in few months, with a strong and dedicate fan base growing every day from all over the world. The waiting for the release of the debut album is huge, and the band is ready to start touring and promoting their music on stage.